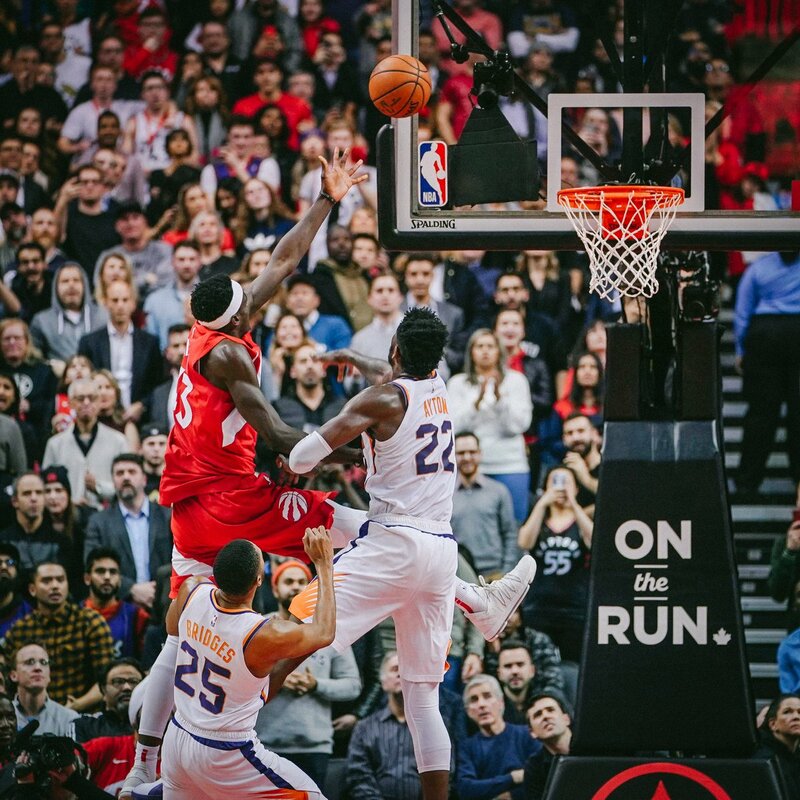 Pascal Siakam scored the game-winner for the Toronto Raptors on Thursday night as they defeated the Phoenix Suns, 111-109. Siakam finished with a double-double as he scored 10 points and grabbed 12 rebounds. Kawhi Leonard was rested, but was on the bench with his teammates for the game. Kyle Lowry was not supposed to play, but coach Nick Nurse told the media on Thursday afternoon that he would. Lowry was just short of a triple-double, he scored 16 points, grabbed nine rebounds, and provided eight assists. Lowry recorded his 5000th career assist in the process. Serge Ibaka led the Raptors in scoring with 22 points. Devin Booker led Suns scorers with 30 points, he also dished eight assists. DeAndre Ayton recorded a double-double, he grabbed 17 boards to go along with his 15 points. New acquisition Kelly Oubre Jr. scored 18 points off the bench. C.J. Miles scored 13 points off the bench, the last time he scored in double-digits was on December 14 in Portland. Delon Wright had 10 points, and always seems to play well when he goes up against Oubre. C.J. Miles went 5-7 from the field, including 3-5 from three point range. Pascal Siakam was trusted to take the ball on the final play of the game, and it worked out in his favour. The Raptors are undefeated on the second night of back-to-backs. The Memphis Grizzlies visit Scotiabank Arena on Saturday night and will hope to snap their four game losing streak and hand the Raptors their fifth home loss of the season. Tip-off is set for 7:30 p.m.